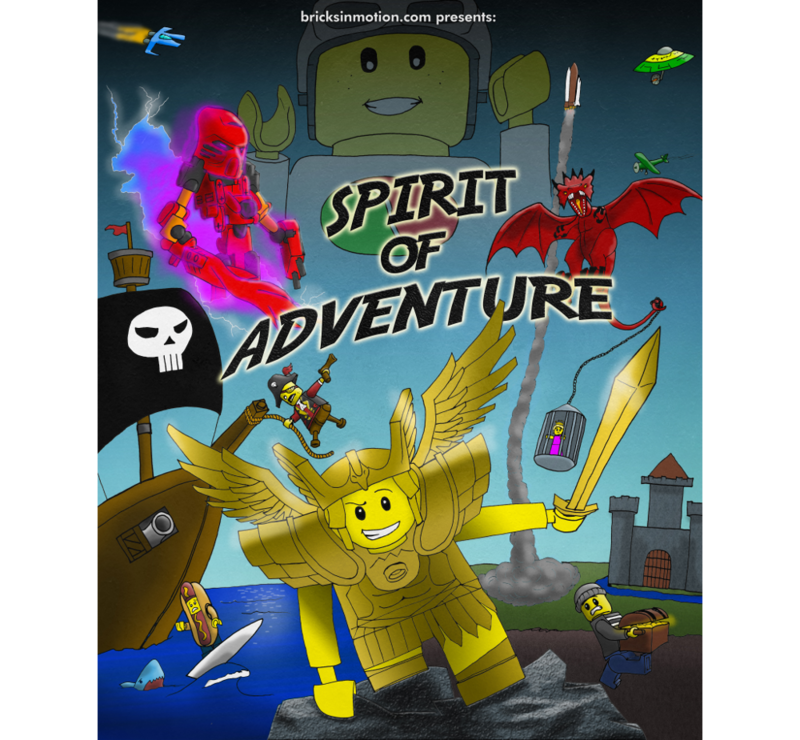 Forums - Bricks in Motion » Contests & Festivals » Spirit of Adventure results! Topic: Spirit of Adventure results! The generosity of our sponsors is the only thing that allows us to have great prizes for these contests. I encourage you to give them a look! Here are the results of the contest. As is customary, only the top 10 is released. Please keep in mind that the judging process does involve averaging the judges ballots; I honestly enjoyed all of the entries and there are great films that did not make the top 10, some of which did appear higher in judges' individual ballots. In addition, the winner of the Promising Director Prize is Makaveli by Kreal. Many factors were considered and multiple entries were strong contenders for this prize. A vote decided the winner as Kreal, who appears to have only begun brickfilming this year and whose film displayed a great sense of imagination, as well as nice set design and lighting. Despite not making the top 10 overall, it was one of my personal favourite entries to the contest, and I believe it is a worthy winner of this prize. Watch the full playlist of entries on YouTube here! Thank you to judges Philip Heinrich, Bruno Lefèvre, Dave Pickett, and Dave Smith of The Four Monkeys, and to Nathan Wells and Christian Colglazier for additional assistance. Thank you again to everybody who made a film for this contest! As this is the first contest I have hosted, I am particularly grateful to everyone who helped make it a success. Re: Spirit of Adventure results! Congratulations to all the winners and to everyone who entered! And thanks to Penta for hosting this year, it was a great contest! As a brickfilmer who's never cracked the top 10, it was a surprise to see all three films I had a hand in reach the top 10 this year. And what great films they were! I was so glad to collaborate with such inspired brickfilmers, and do the music for them. And a big congrats goes to all entrants! It's tough to make a brickfilm, let alone one under a time constraint... and immensely harder to accomplish over summer break. A round of applause to all! Congrats to the winners and thanks to all who made the contest possible. Really wish I could've entered. If you use SME and think it's hard, I wouldn't recommend trying to jump into Dragon Frame. It's much more advanced. Not going to get into detail with that in this thread, but I used to use SME and it worked really well. Try keeping that one for a while and get the hang of it because it's good software. It was such an honor to get the opportunity to be one of the judges for this contest. Congrats to all that entered and placed. This was my first BiM contest and I had so much fun! Congrats to all the winners - and congrats to everyone who entered. Half the battle is finishing the video in the first place. The other half is waiting for the final results. But seriously, thank you Penta, judges, and sponsors for making this happen. I look forward to whatever comes next for BiM's contests! Wow, we are speechless! Even though we had to stay up late for the live chat it was totally worth it! A big THANK YOU to all the (well-bribed) judges, but especially to Penta, for all the effort you put into this contest, we greatly appreciate it! Needless to say that there were a ton of very nice entries overall and we had a blast watching all of them. Congratulations to all participants, it is always an achievement to produce a brickfilm, whatever the outcome of a contest may be! A massive thank you to the judges for placing my film 6th. There were so many great entries this year, so it means a lot to be ranked alongside them! Thanks so much for fifth place! It's such an honor to be on the top ten with so many other incredible brickfilms! Awesome! Congrats to all the winners! Sweet! I'll have to sit down and watch all of these soon. The few I have watched are great (looking at you, Horse Brother ) Kudos to the winners and everyone who participated! Congrats to all the winners. It was a really fun contest. Life is like spaghetti.... actually... nope! It's not.